Everyone knows about passwords. Most people I've met usually react to creating a new account with a variety of negative reactions - mainly due to the annoying issue of having to create a new password (or even worse, re-use an old one!). Most people I've met also reuse at least one password several times, too! This is obviously a bad thing, but what can we do about it? Perhaps, while we're at it we can solve that awkward problem of forgetting which password you've used too. 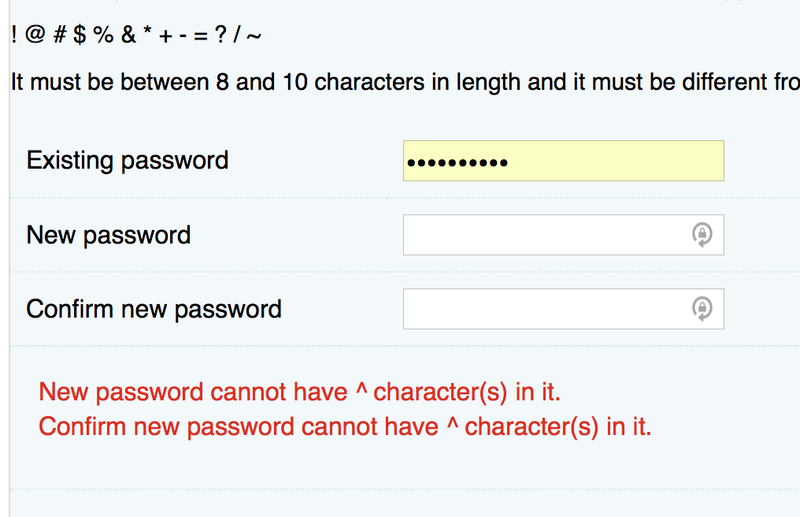 Here's the big question though: What do any of these password rules achieve? Well, we want to ensure that only the owner of an account can access it. Ok, so we've got our goal. Make sure only the owner of an account can access it. Sounds simple, right? Just let the user enter a secret that only they know, and then we can check if they still know that secret in the future in order to verify that they are the right person attempting to access the account. Point #1 here is bad enough (more on this later and what you can do about it though), but #2 is a real issue. A safe is only as secure as its lock, so how to we makes sure we keep passwords stored so that nobody can steal them? The answer: Make it so that even we can't read them! This sounds silly, but it really does work. By using a process called hashing, we can apply a process of complicated transformations to an input string - leaving us with an unintelligible output string. Why is this useful? Because it's repeatable. By hashing the same string twice, we can get exactly the same output - allowing us to check if a user has entered their password correctly without actually storing it in plain-text! Very cool. We're not out of the woods yet though. Picking the right hashing algorithm can be tricky. No doubt you've heard about sha1 - and maybe even sha2 and sha3. They stand for secure hashing algorithm, right? What if we used one of those? I don't even have to buy a top-of-the-range card any more, either. I can rent one for as little as ~35p per hour from Google Cloud Compute - well within the reach of almost any script kiddie or wannabe hacker. Many people also use the same password for several different accounts - and attackers exploit this mercilessly. If they've gained access to one of your accounts, they'll also try using the same password against other online services to see if they can gain access to any other accounts they may belong to you. Furthermore, the particularly determined have gone to the trouble of pre-generating what we call rainbow tables. These table contain pre-generated hashes for millions and millions of different combinations of characters - reducing the time required to crack a password to almost nothing! Obviously, if there wasn't anything we can do about it then everyone's accounts would be hacked by now. Thankfully though, this isn't the case. We can combat the threat by using longer passwords (at least 12 characters - and preferable 16+), and that of a rainbow table by utilising a salt. Basically, it's a long and unintelligible string that's added to the password before it's hashed - and is different for every password. Then in order to check that whether an entered password is identical to the stored one, we simply re-read the plain-text salt from storage and hash the new password with the salt. Pretty good right? Not so fast. Even though we've prevented attackers from using a rainbow table against our password hashes, we still have to store the salt in plain text, so our attacker can still try millions of different passwords a second if they manage to steal our password hashes. The solution: Slow them down! Using bcrypt, we can specify a work factor when hashing a password. Higher work factors mean that it takes longer to hash a password. By making it so that it takes a consistent ~1 second to hash passwords, we can limit our attacker to trying 1 password per second instead of a few million. Furthermore, the bycrypt algorithm doesn't translate onto graphics cards very well at all - further increasing the amount of time it takes to crack our password hashes! Combined with a salt from earlier, this is a pretty good way of storing passwords. There are other variants of this general algorithm too - including the newer Argon2 algorithm whose work factor increases the amount of memory required to calculate a hash as well as the amount of CPU power. Still others include scrypt and PBKDF2 - the likes of which are discussed here (also see this answer). This isn't the end of the road though. Far from it - we're just getting started. Next, the best hashing algorithm in the world doesn't help you if your password is terrible. There are many lists of common passwords extracted from data breaches from around the world - so if your password is in that list, you can expect your account to be hacked in seconds! If you're unsure if your password is good enough, then there are online tools available that you can use to measure the strength of your passwords. It will even tell you if your password is on any of the common password lists. Even so, there are other methods employed by those with questionable intent to gain access to your account. For example, why bother cracking your password when the can install a keylogger on your computer or look over your shoulder to pull out your password as you're typing it? Some simple steps are all that's required to keep keyloggers at bay. Firstly, keeping your computer (and all the software you have installed) up-to-date is critical for patching security holes. If you're using Linux, then you've already got a brilliant way of doing this - so long as you install all your software through your package manager. If you're on Windows, making sure any auto-update options are turned on and installing updates when prompted is very important. Though it's not installed by default, Chocolatey brings Linux-style package management to your computer - allowing you to mass-update all the software you've got installed at once. As I mentioned earlier in this post, re-using passwords is a very bad idea. According to dashlane, the average number of accounts registered against a single email address is a staggering 118! Having to remember a different password for all 118 accounts is clearly not sustainable (dashlane also notes that the average number of 'forgot password' emails per inbox in 2020 is estimated to be 22), so is there anything we can do about it? Yes, as it turns out. With the rise in the number of online accounts people have, so have the ways at your disposal to manage them. The best way I've found to manage my passwords is with a password manager. The general idea is that you create a password database that's encrypted with a (super-secure) master password, and then you store all of your credentials all of your different accounts inside it. Many password managers come with helper tools that automagically type them into a box at the touch of a button - eliminating the need to remember them at all. This means that you can use much longer and more secure passwords - protecting your online accounts from intrusion. Personally, my preference is Keepass 2 - as it lets me save my password database to disk - so that I can set up my own automatic backup system (don't forget this step!) against my own infrastructure. Many others exist though too. This article has a great discussion on the merits (and dangers) of using one, along with recommendations at the end. Of course, it's a trade-off. In using a password database all of your passwords will be in one place (albeit encrypted with your master password). If an attacker gets hold of it and cracks the password, then it's game over! Thankfully, there are several techniques that are employed to ensure the security of such a database, such as utilising a password hashing algorithm (as discussed above) to transform the master password before encrypting the database, adding a work factor. Secondly, keeping your database stored in a secure location (such as flash drive in a safe place, or a secure remote server that you own) can also help. Given that the chance of being burgled in the UK is about 2.5% (source), but the chance of being hacked is about 1 in 3 (source), I think I'd rather take my chances with a password database to keep my online accounts secure. If you aren't comfortable with storing your passwords digitally yet though, fear not! You could buy a password book from loads of different online stores - and even most good high-street stationers such as W.H. Smith for under £10. Although storing really long and unintelligible passwords isn't really viable, you can still have a different one for each site - making your online accounts much more secure. Having a good password is a great start, but is there anything else we can do? Well yes, as it turned out. Enter stage left: 2-factor authentication. Given those statistics about burglary and hacking, ideally we want to tie our account security to the burgalry statistic rather than the hacking one. 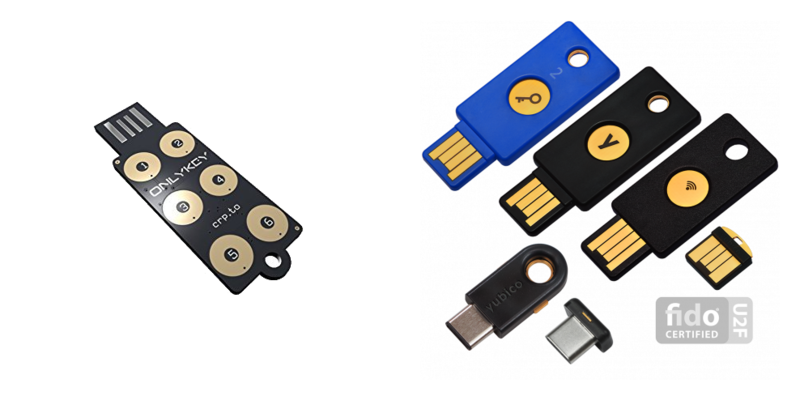 2-factor authentication does just this: it makes it such that you require not only something that you know (your password) to access your account, but also something that you have, such as your phone - or a small flash-drive like device called a hardware-security key. Linking the two is a system of 6-digit codes. Basically, on your phone you scan a QR code representing a lump of data. This data is then used to generate a 6-digit code that you enter into the online service after entering your password. This code changes every 20 or so seconds according to a complicated algorithm, so the server can also generate a code to see if it matches the one you entered. In this fashion, attackers are prevented from accessing your account unless they not only crack your password, but also actively infect your phone. Phew. If you've reach the end of this post, then congratulations! We've covered a lot of content in this post. We've looked a little at what makes a good password, and why that is. We've investigated how attackers attempt to gain access to your account, and what you can do to protect yourself. Also also considered the merits of various password management strategies. Finally, we've looked at 2-factor authentication, and how it is far more secure than even the strongest password. As always, this post is a starting point - not an ending point! I'll list some useful articles below for further reading. I'd also recommend you consider taking the time to secure your online accounts better - for example changing their passwords, enabling 2-factor authentication, and implementing a password management strategy. Found this interesting? Spotted a mistake? Got a great tip of your own? Comment below! Wow, it's been a while since I posted something in this series! Last time, I took a look at the Uncomplicated Firewall, and how you can use it to control the traffic coming in (and going out) of your server. This time, I'm going to take a look at steps you can take to secure another vitally important part of most servers: SSH. Used by servers and their administrators across the world to talk to one another, if someone manages to get in who isn't supposed to, they could do all kinds of damage! Once done, restart the ssh server. Your config might be slightly different (e.g. it might be PermitRootLogin without-password) - but the principle is the same. This adds an extra barrier to getting into your server, as now attackers must not only guess your password, but your username as well (some won't even bother, and keep trying to login to the root account :P). Change 22 in the above to any other number between about 1 and 65535. Next, make sure you've allowed the new port through your firewall! If you're using ufw, my previous post (link above) gives a helpful guide on how to do this. Once done, restart your SSH server again - and try logging in before you close your current session. That way if you make a mistake, you can fix through your existing session. Once you're confident that you've got it right, you can close port 22 on your firewall. So we've created a new user account with a secure password (tip: use a password manager if you have trouble remembering it :-)), disabled root login, and moved the ssh port to another port number that's out of the way. Is there anything else we can do? Turns out there is. It's the IdentityFile line that's important. The port line simply makes it such that you can type ssh bobsrockets.com (or whatever your server is called) and it will figure out the port number for you. With a public-private keypair now in use, there's just one step left: disable password-based logins. I'd recommend trailing it for a while to make sure you haven't messed anything up - because once you disable it, if you lose your private key, you won't be getting back in again any time soon! Again, open /etc/ssh/sshd_config for editing. Find the line that starts with PasswordAuthentication, and comment it out with a hash symbol (#), if it isn't already. Directly below that line, add PasswordAuthentication no. Once done, restart ssh for a final time, and check it works. If it does, congratulations! You've successfully secured your SSH server (to the best of my knowledge, of course). Got a tip I haven't covered here? Found a mistake? Let me know in a comment below! Once done, you can then select your private key in evolution in the preferences (SHIFT + CTRL + S). Did this help you out? Still having issues? Let me know in the comments below! Today I have another post for you about Samba. Today I found that people couldn't actually access the samba shares I set up (I must have forgotten to test them). They were getting a weird "The Network Path was not found" error. Strange. After looking into it, I found that I didn't unblock the right ports in ufw. You see, Samba operates using two listeners, one called smbd, and the another called nmbd. I had forgotten to read the output of netstat -peanut correctly, and I missed a few ports. Hopefully it doesn't take you as long to fix your problem as it did mine...! Welcome to a new tutorial series, where I will show you what I have learnt so far about making sure that your linux server (and desktop too!) are secure so that nobody can get in (easily) and assume control. Disclaimer: This tutorial series will not cover everything, and should not be taken to. There probably will be some mistakes in this post too. Check other guides online or consult a professional to make sure that your machine is secure. Please suggest improvements or point out mistakes in the comments. To start this tutorial session off, I will talk about firewalls. Firewalls control how data is allowed to travel in and out of your computer. In Ubuntu, a firewall called ufw, the 'uncomplicated firewall' is already present. It acts as a nice frontend to iptables, which I find to be difficult to understand and use. We will be using that as our firewall. Ufw will automatically configure iptables to allow incoming connections on port 22 that use tcp. I will talk more about allowing and denying different connections later. Just in case ufw blocks your ssh connection and you are unable to get back in, you can use another program called at to schedule the disabling of the ufw so that you can get back in again. If you don't have it installed, you can install it with sudo apt-get install at. It will warn you that this may disrupt any existing ssh connections you have open. Reply yes to this. Once it have been enabled successfully, you should check that you can still ssh into your server (if that is the method that you are using to control it). If yes, great! If not, ufw will disable itself in 10 minutes and then you can try again. Now that we have ufw enabled, we can cancel the at job we created to disable ufw. Type sudo atq to list the jobs you have schedules, and sudo atrm <number> to remove it, where <number> is the number of the jobs that you want to delete. The above would deny all tcp connections on port 4722. The above would block all packets from the ip address 2607:f8b0:4003:c05::65, which just happens to belong to Google. The above will allow udp connections on any port in the range 60,000 - 61,000 (the ports used for mosh). The above would delete the rule(s) allowing tcp connections on port 4724. In this post, I have shown you how to activate and configure a simple firewall that is bundled with Ubuntu. Next time, I will talk about securing you ssh daemon. If you spotted a mistake in this post, have a suggestion, or are having trouble following along, please leave a comment below. Recently I needed to generate random strings to hex to act as a session token for Blow Worm. Using session tokens mean that you send the login credentials once, and then the server hands out a session token for use instead of the password for the rest of that session. In theory this is more secure than sending the password to the server every time. The problem with generating random session tokens is that you need a secure random number generator, so that hackers can't attempt to guess the random numbers and hence guess the session tokens (that would be bad). Generate ~128 bits of randomness using the OpenSSL function openssl_random_pseudo_bytes(). This randomness generator is apparently better than rand() and mt_rand(). Hash that resulting randomness with SHA256 to ensure a constant session key length. I thought that I would share this here since it took me a little while to look up how to do this. If anyone has a better way of doing this, I will gladly take suggestions and give full credit. Since this website gets a lot of spam (ongoing investigations are currently in force in order to analyse the spambots' patterns, a post will be made here when they have been stopped) and this website also has a comments feed powered by atom.gen.php, I have had a chance to test atom.gen.php out in the wild with real data. I discovered, unfortunately, that the script didn't handle invalid utf-8 and non printable characters very well, and this lead to the feed getting broken because XML doesn't like certain specific characters. This has now been fixed. If you handle user input and use atom.gen.php to turn it into a feed, you will want to grab an updated copy of the script (quick link here) and overwrite your previous copy in order to fix this. The reference has been updated accordingly. If you find another bug, please comment below. You will recieve full credit at the top of the file (especially if you provide a fix! ).